As we know that the Microsoft has released its new and last version of windows Windows 10 for all its users.In many ways you can install Windows 10 on your PC or laptop. In our previous article, we’ll tell you many ways of installing Windows 10 on your PC or laptop. So today we’re here with a another way to install Window 10 on your PC or laptop. The name of this way is How to install Windows 10 on VMware Workstation. Yes, this is possible with a simple way that I’ve discussed in this article How to install Windows 10 on VMware Workstation by just following the below steps. Step 1. First of all download Windows 10 ISO and VMware Workstation. Step 3. Now click on the File>New Virtual Machine button and select Custom(advanced) and click on Next. Step 4. Now in the new Virtual Machine Wizard set the path for your Windows 10 ISO file. Step 5. Now select Microsoft Windows and choose the Version of the OS as Windows 8 x64 and click Next. Step 6. Now define the identity of Virtual machine Window 10 and Click on Next. Step 7. Specify the number of processors and number of cores per processor and click Next. Step 8. Now, Specify the memory for Virtual Machine as 2GB. Step 9. Now tick on Network Address Translation (NAT) and click on Next. Step 10. Now specify the disk capacity for Windows 8 is 60GB. Step 11. Now click on Finish and your Virtual Machine is created. Step 12. Now go to Windows 10 installation process normally. Select your language and Keyboard layout and click on Next to continue. Step 13. Now click on Install Now and click on the Custom: Install Windows only (advanced) installation option. Step 15. Now allocate Space for Windows 10 and click on Next. Now You can run Windows 10 in VMware Workstation. Step 16. That’s it! Now, installation process starts for Windows 10 on VMware Workstation and it takes some time to copy and install the new version. 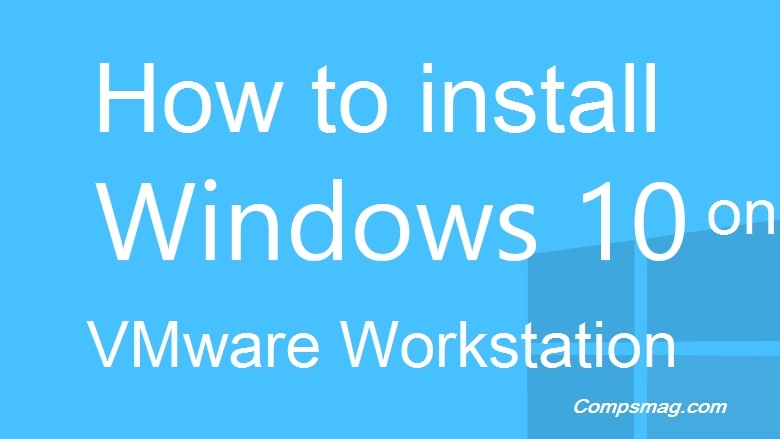 So above is all about How to install Windows 10 on VMware Workstation. Hope you like it so please don’t forget to share this post with others.